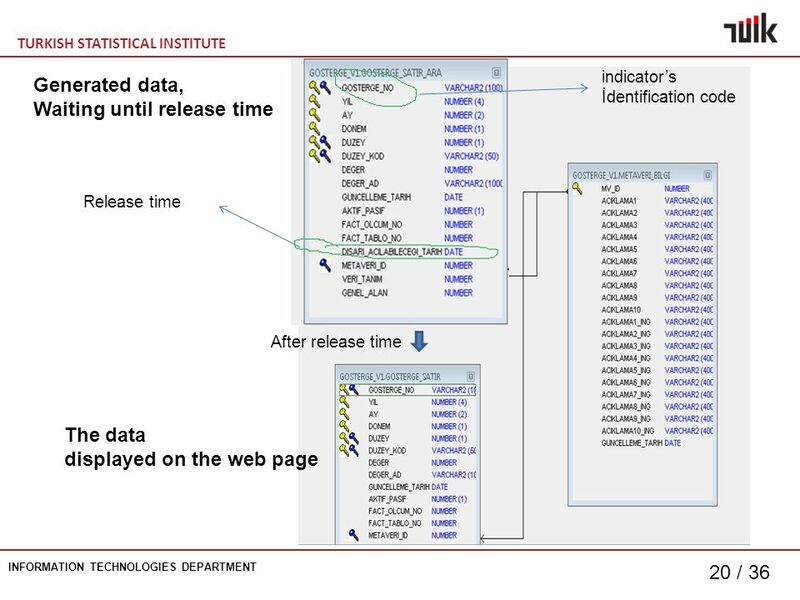 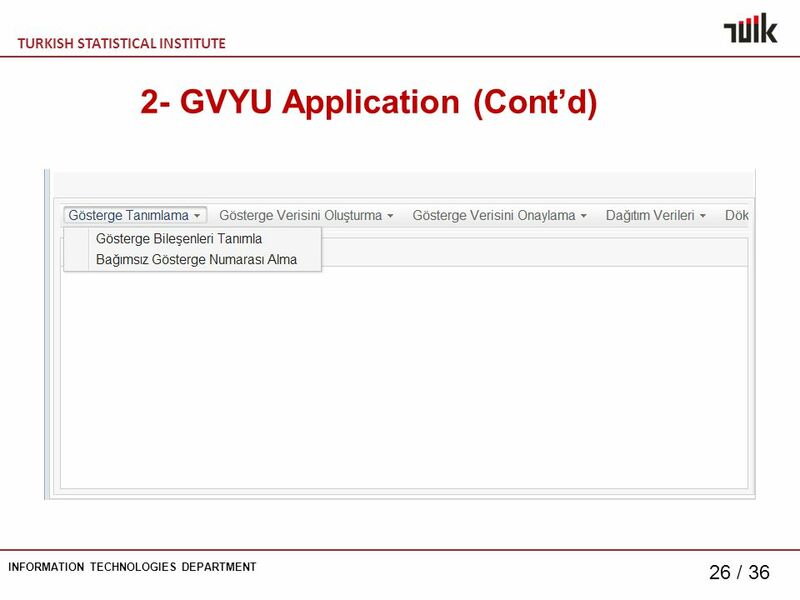 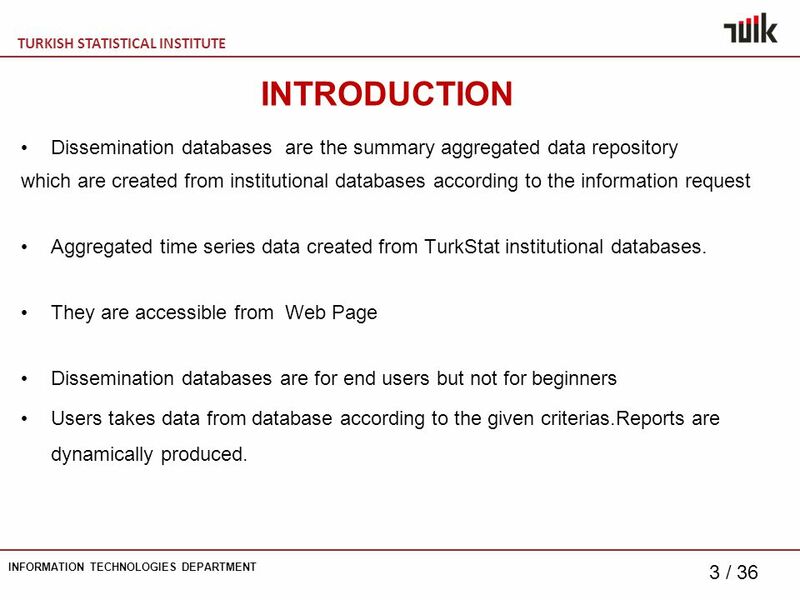 3 TURKISH STATISTICAL INSTITUTE INFORMATION TECHNOLOGIES DEPARTMENT 3 / 36 INTRODUCTION Dissemination databases are the summary aggregated data repository which are created from institutional databases according to the information request Aggregated time series data created from TurkStat institutional databases. 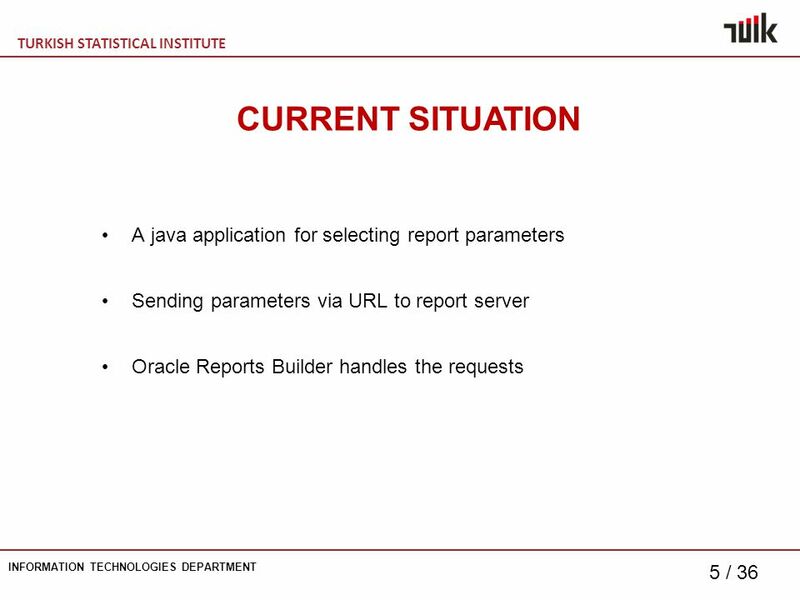 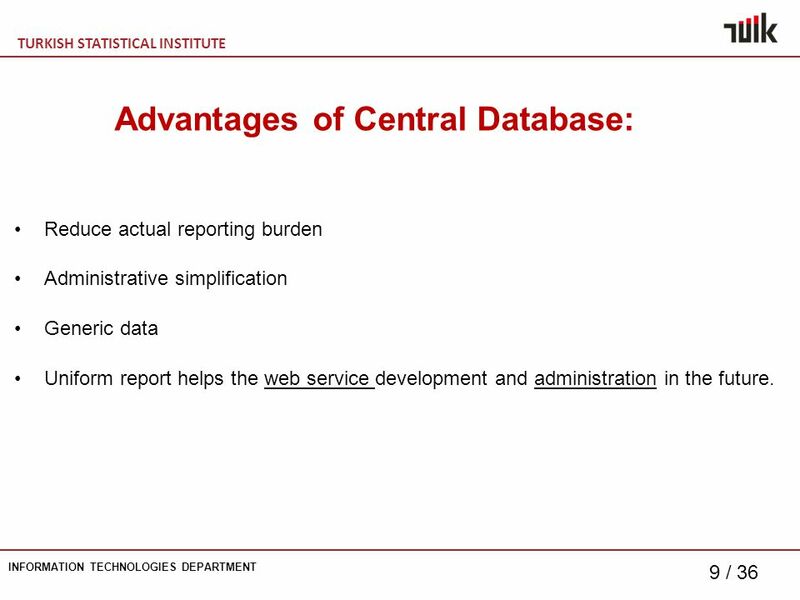 They are accessible from Web Page Dissemination databases are for end users but not for beginners Users takes data from database according to the given criterias.Reports are dynamically produced. 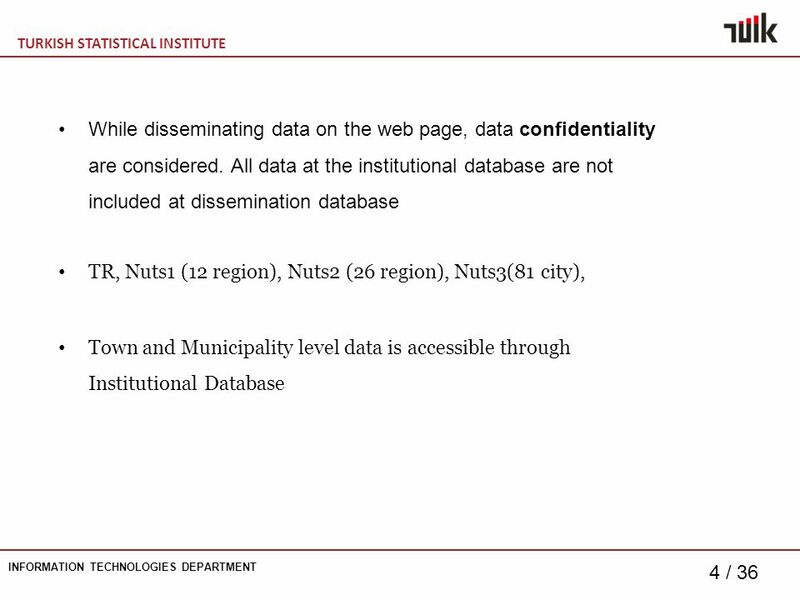 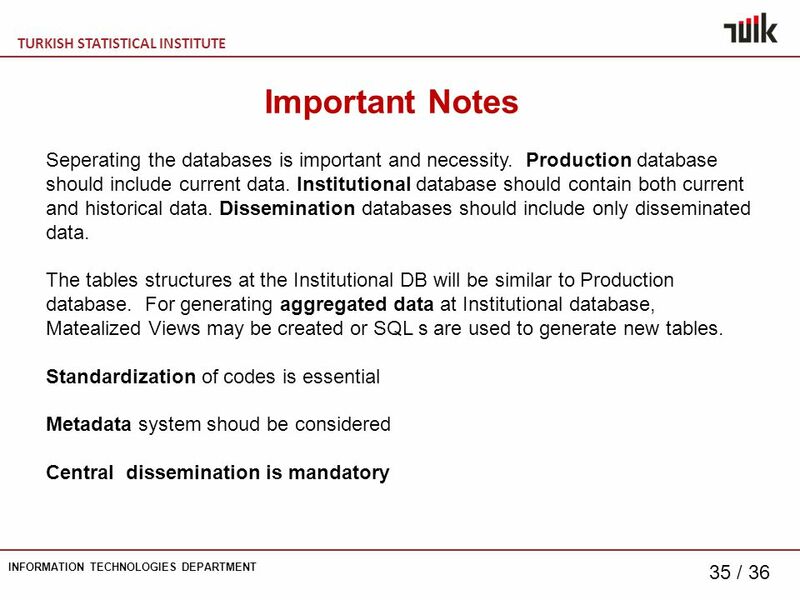 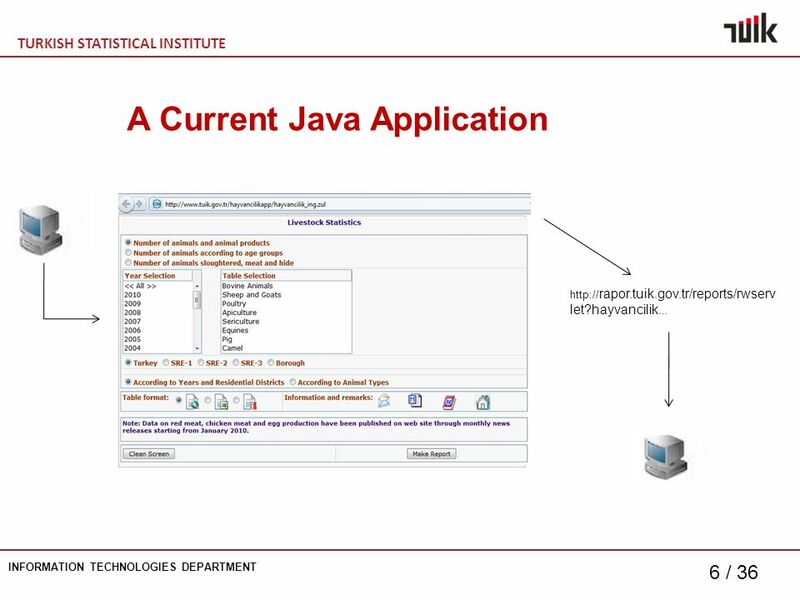 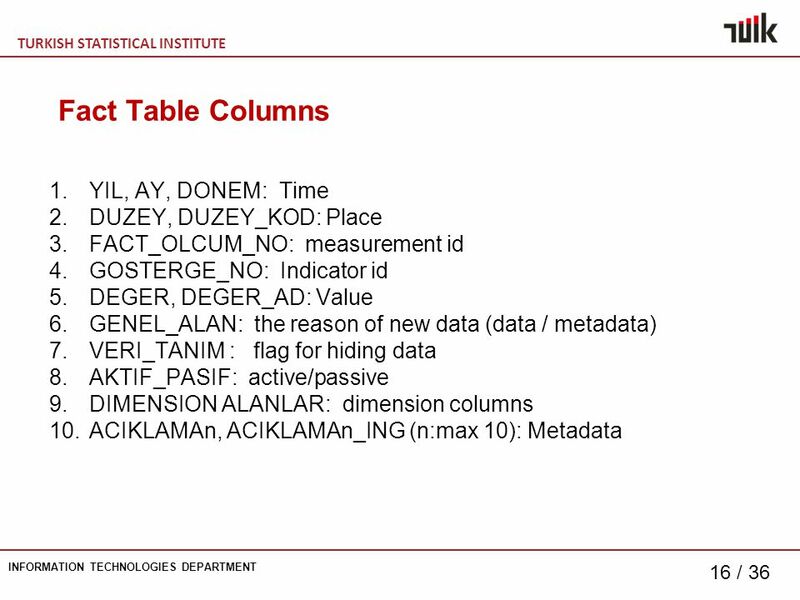 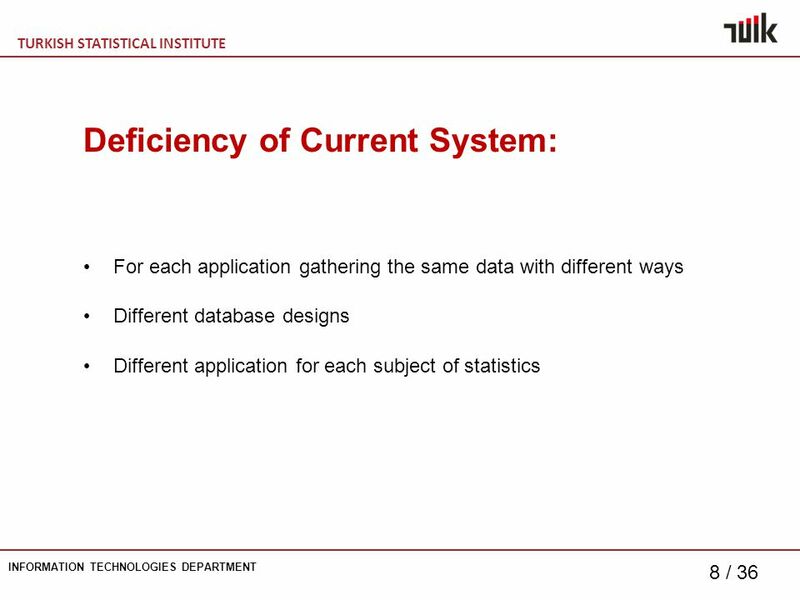 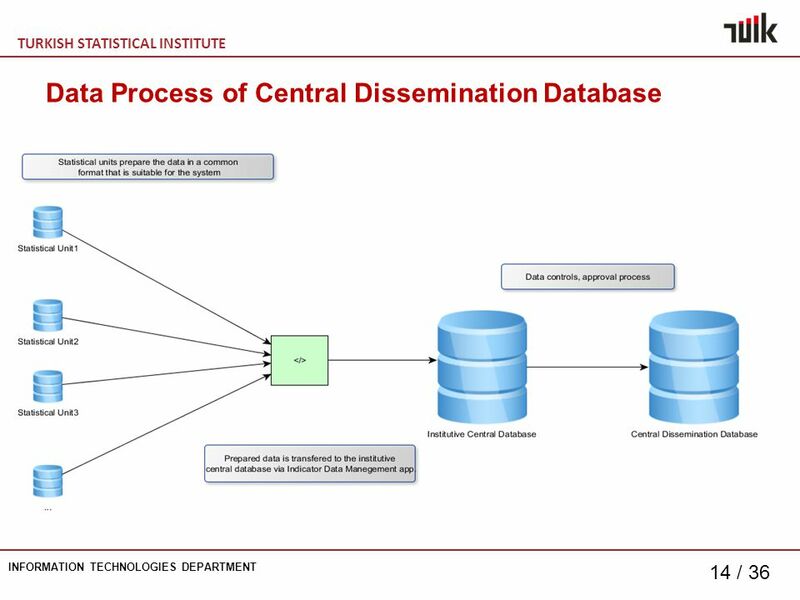 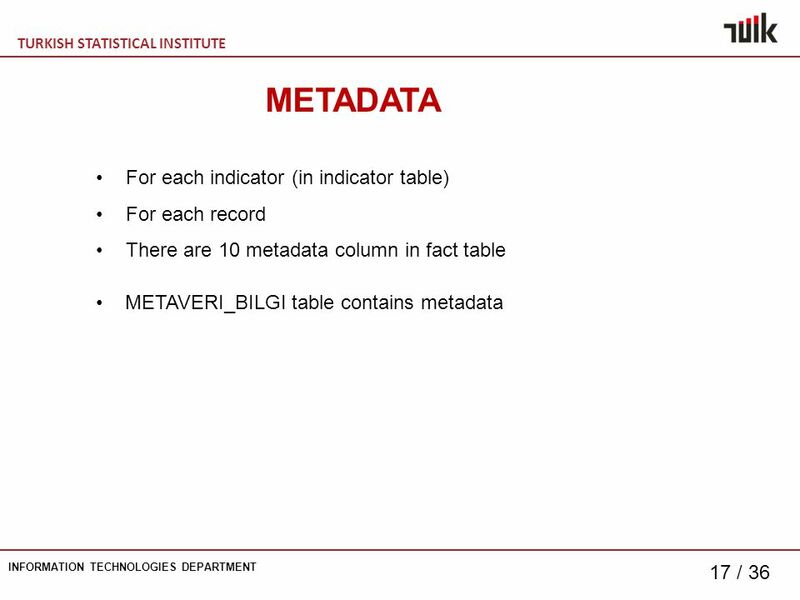 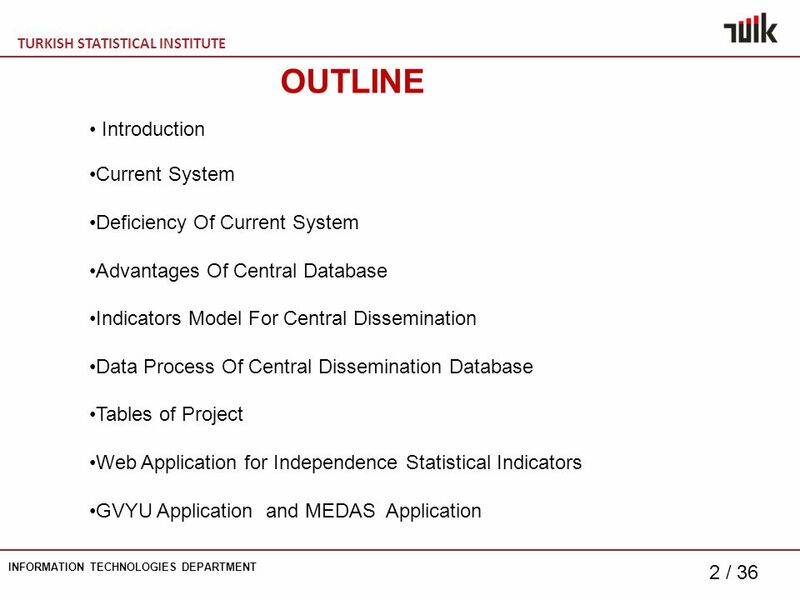 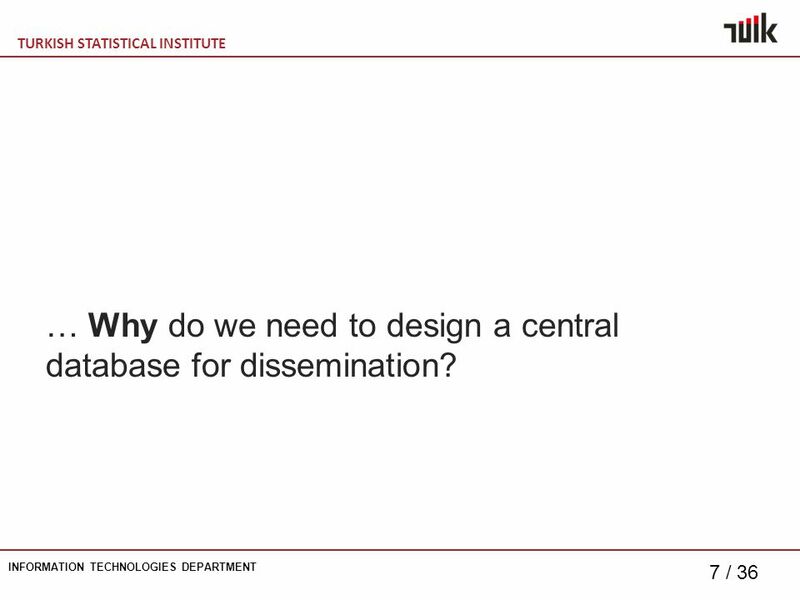 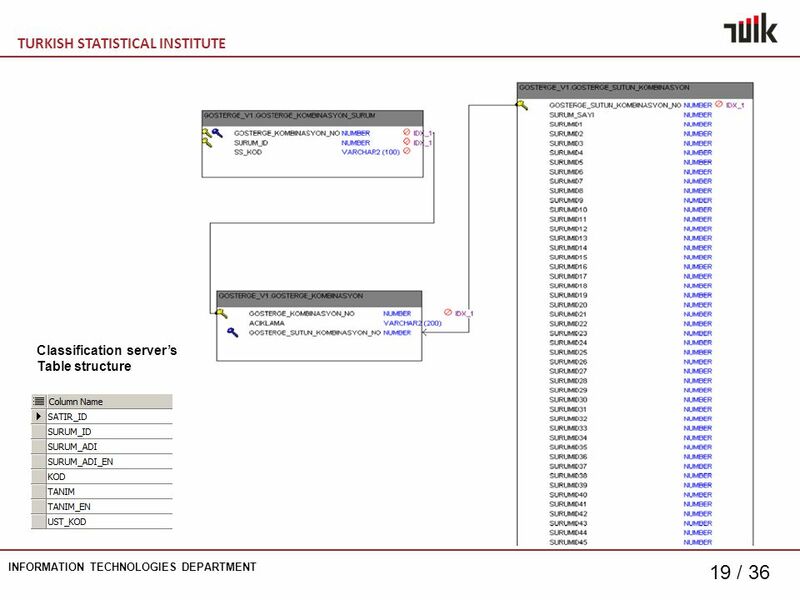 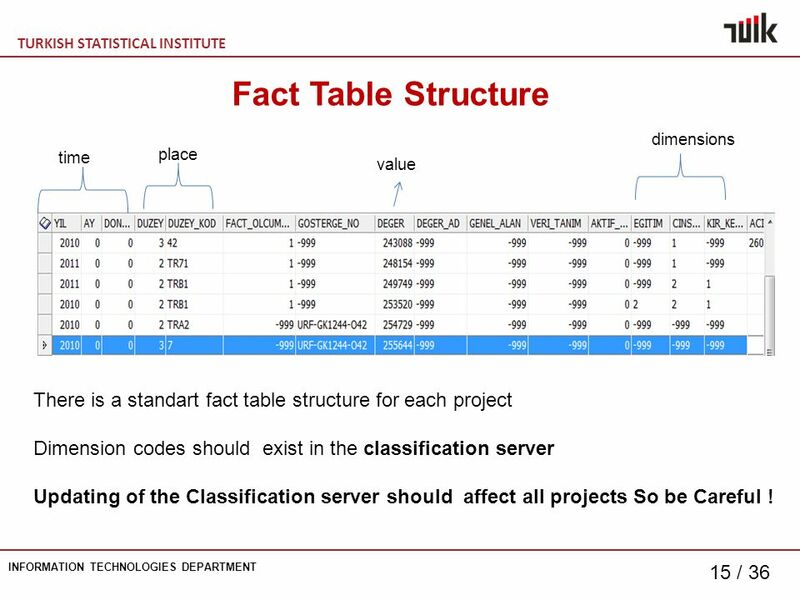 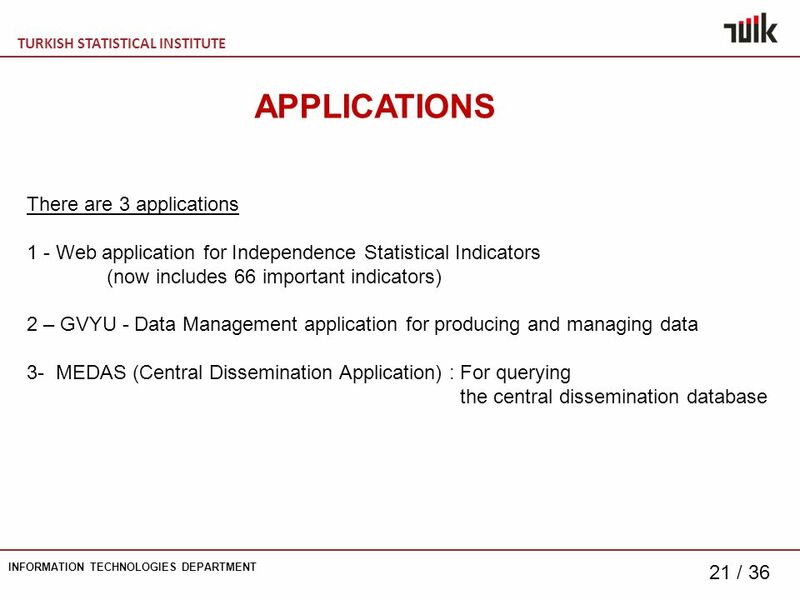 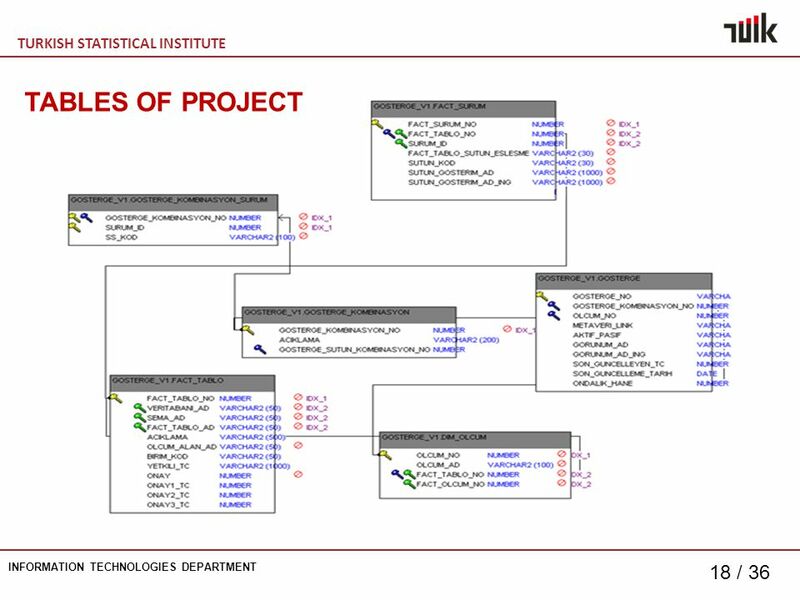 7 TURKISH STATISTICAL INSTITUTE INFORMATION TECHNOLOGIES DEPARTMENT 7 / 36 … Why do we need to design a central database for dissemination? 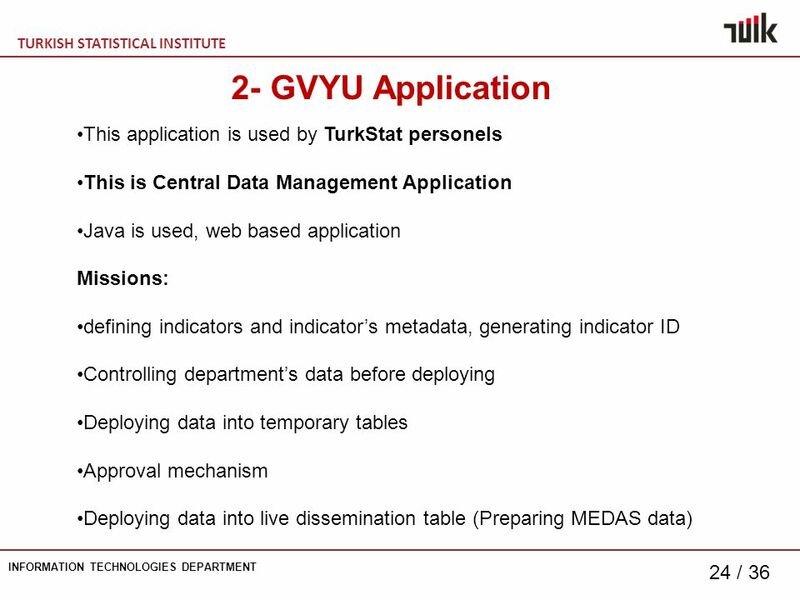 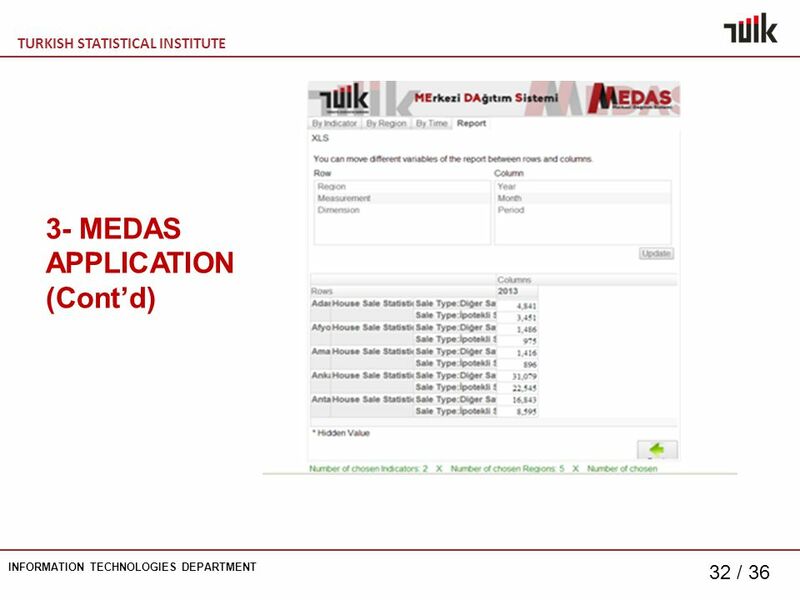 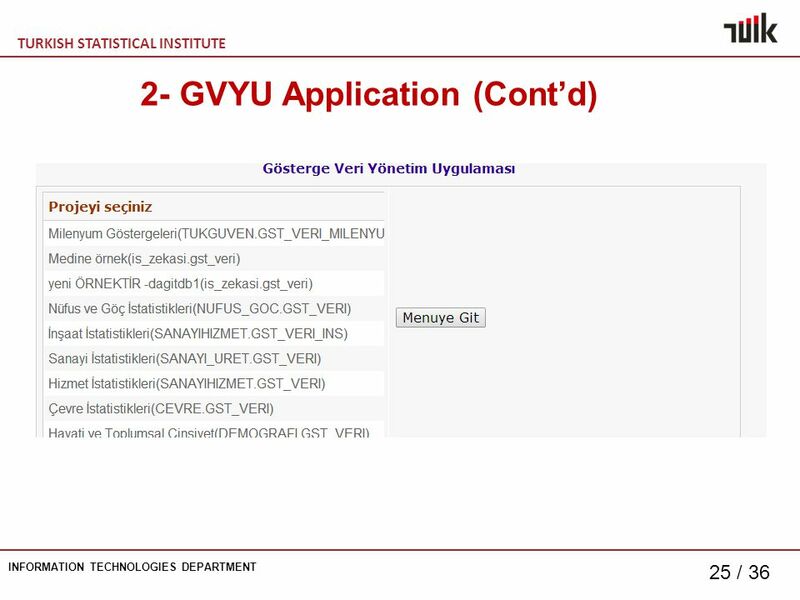 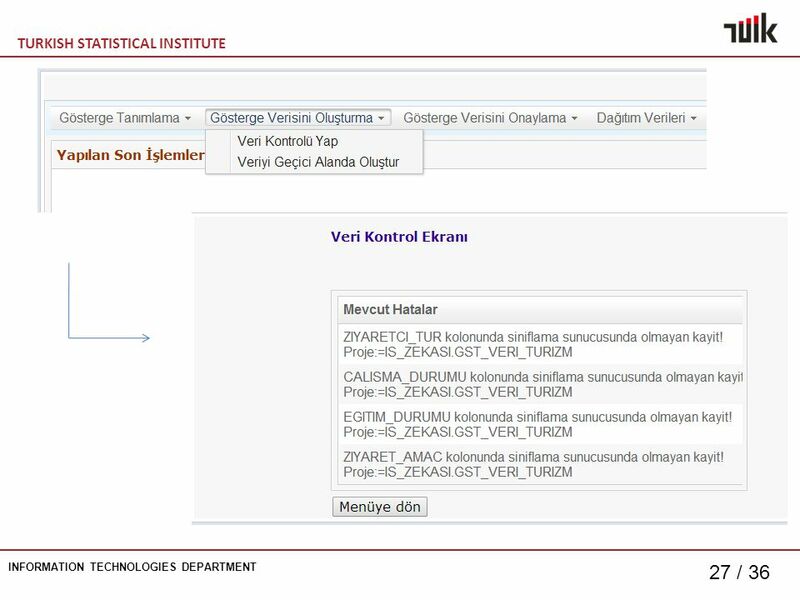 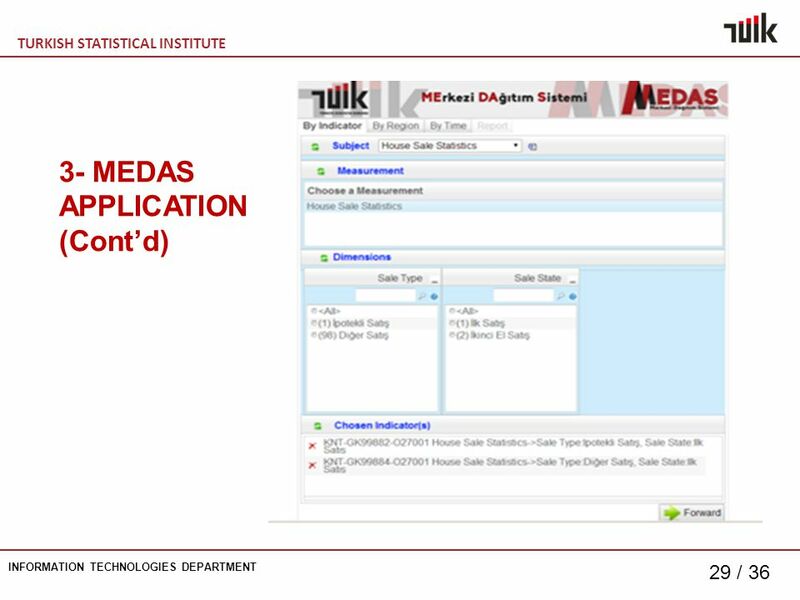 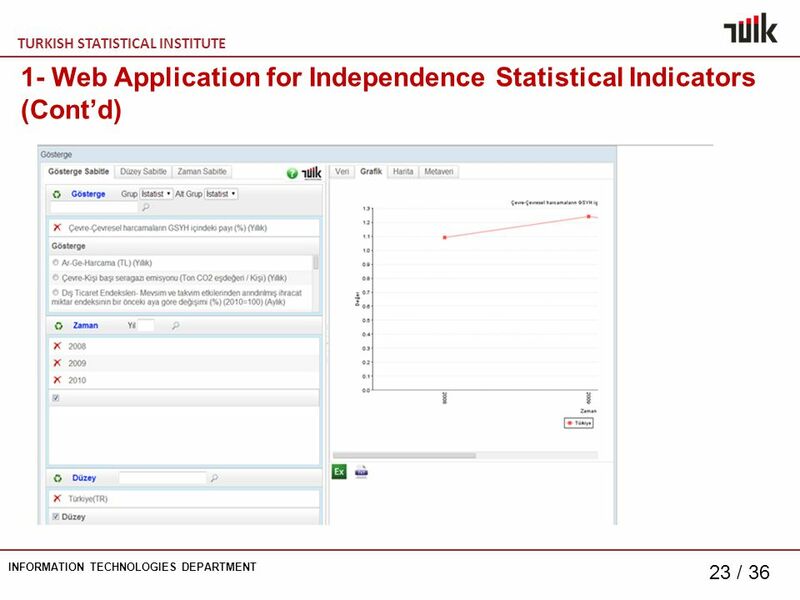 9 TURKISH STATISTICAL INSTITUTE INFORMATION TECHNOLOGIES DEPARTMENT 9 / 36 Advantages of Central Database: Reduce actual reporting burden Administrative simplification Generic data Uniform report helps the web service development and administration in the future. 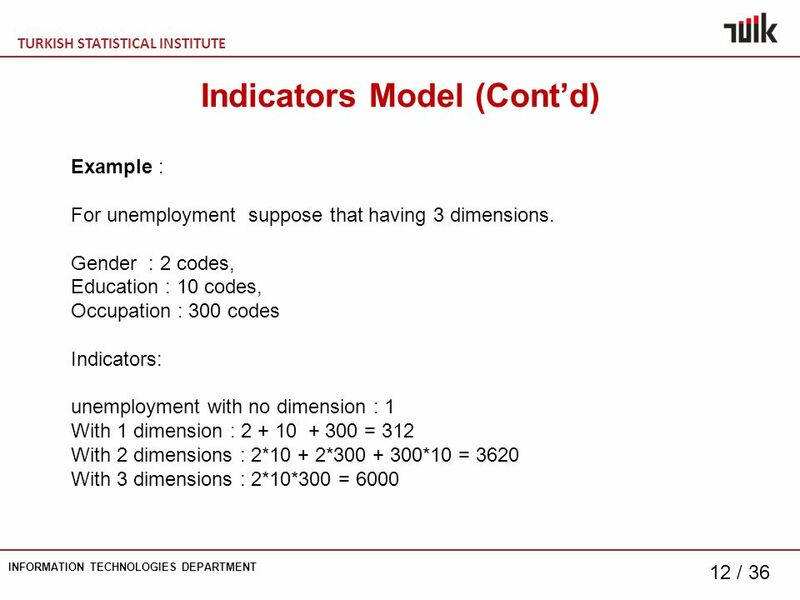 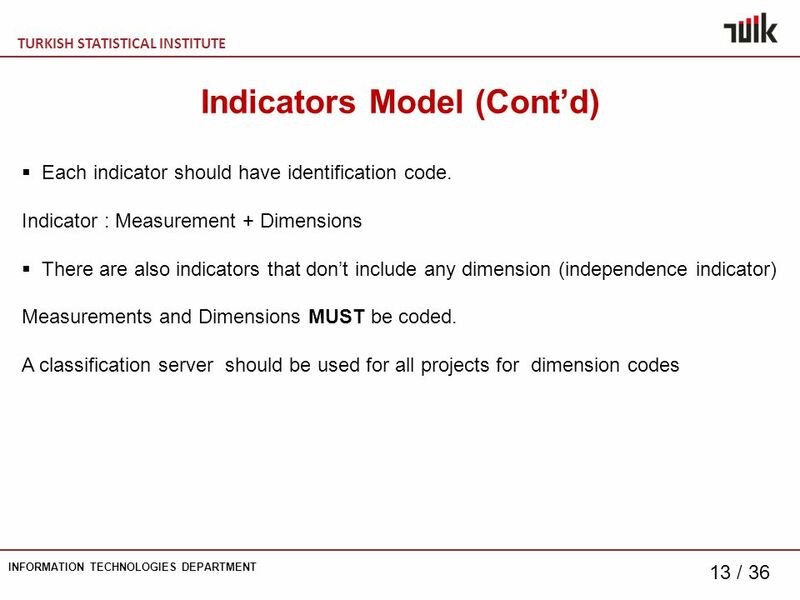 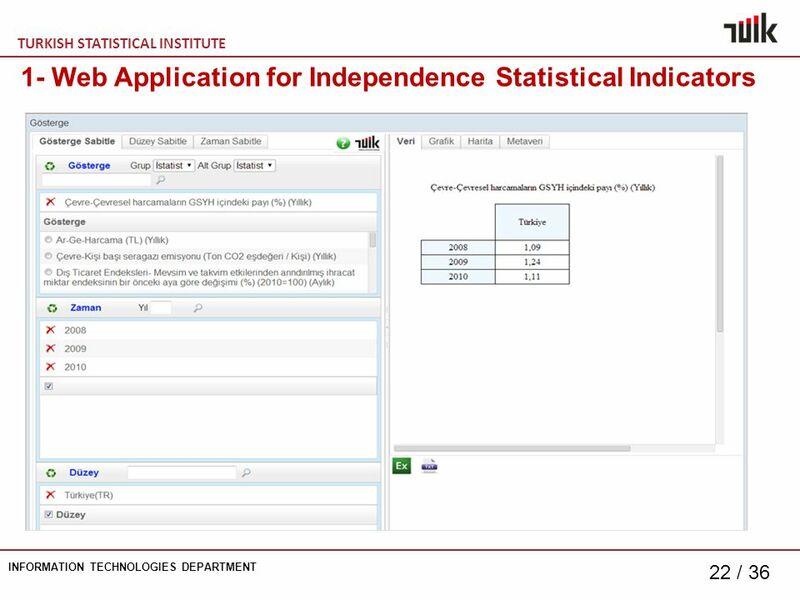 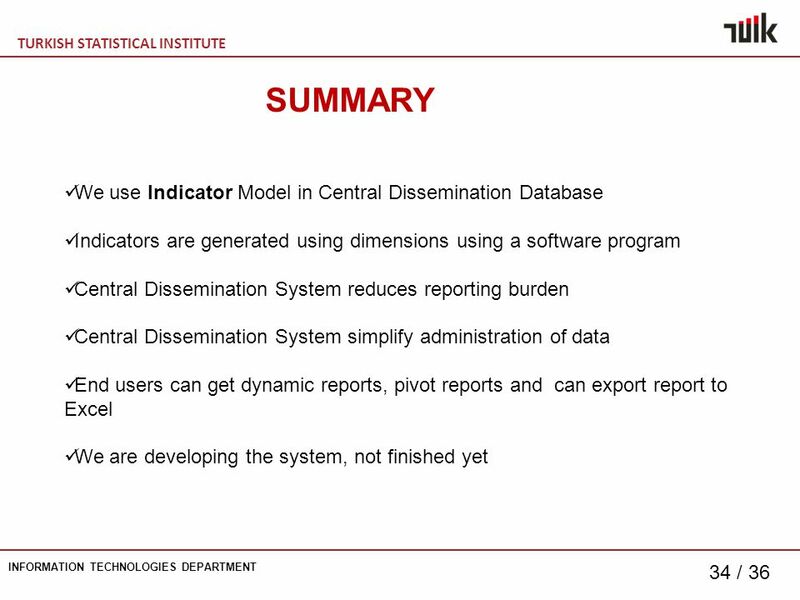 10 TURKISH STATISTICAL INSTITUTE INFORMATION TECHNOLOGIES DEPARTMENT 10 / 36 Indicators Model for Central Dissemination Indicator: Identifier information except time (year, month, quarter) and location (region). 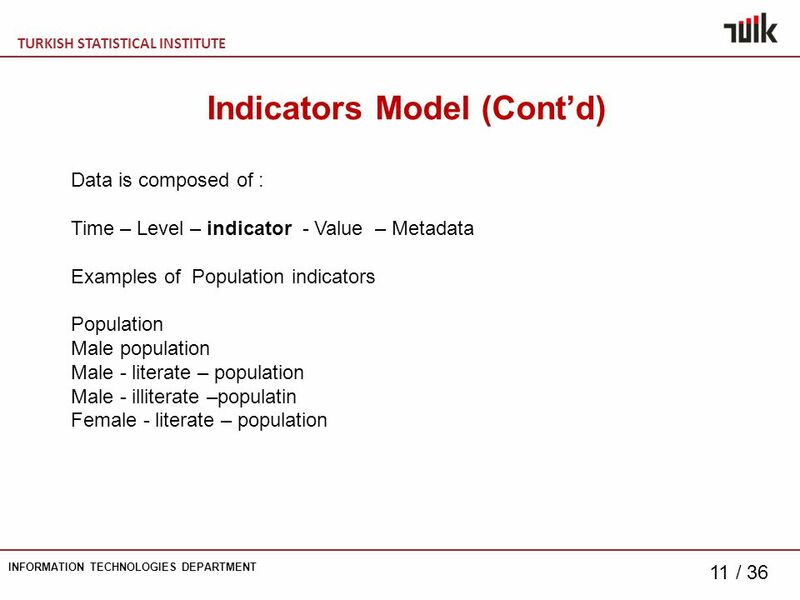 We assume that Each given statistic is an indicator. 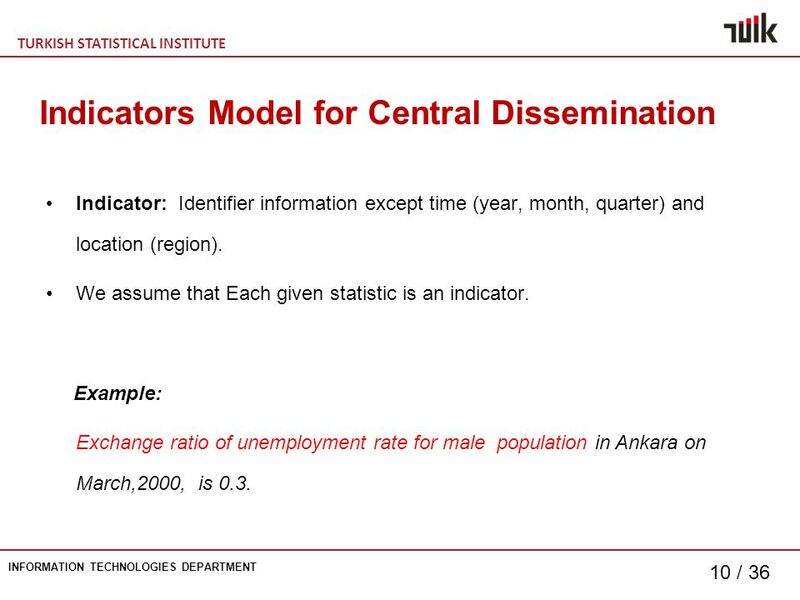 Example: Exchange ratio of unemployment rate for male population in Ankara on March,2000, is 0.3. 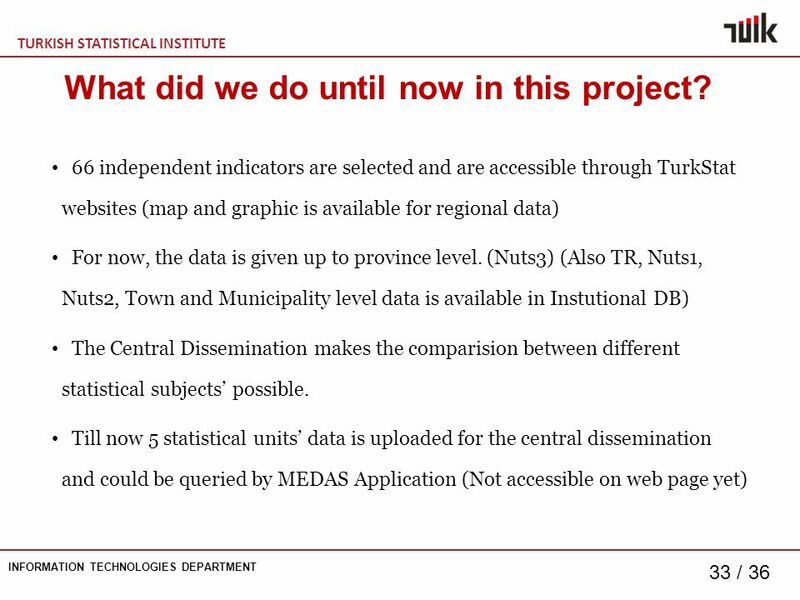 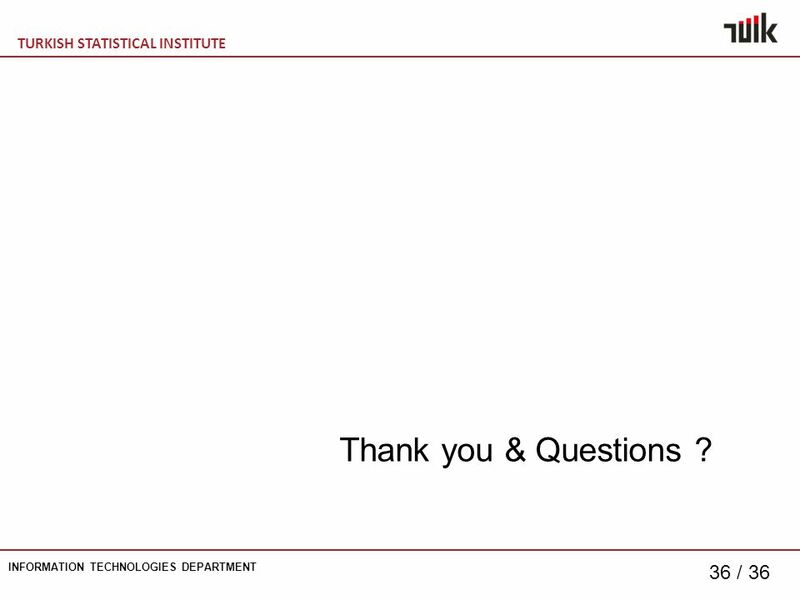 36 TURKISH STATISTICAL INSTITUTE INFORMATION TECHNOLOGIES DEPARTMENT 36 / 36 Thank you & Questions ? 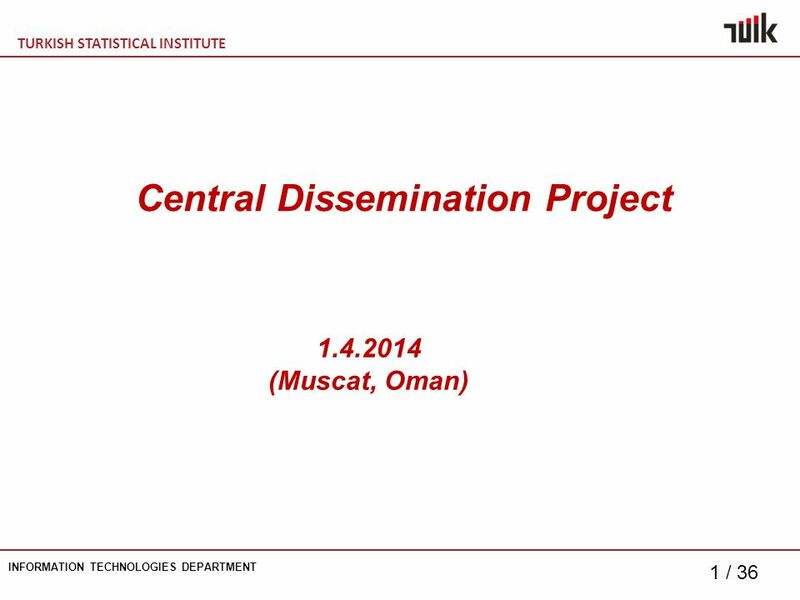 Download ppt "TURKISH STATISTICAL INSTITUTE INFORMATION TECHNOLOGIES DEPARTMENT 1 / 36 Central Dissemination Project 1.4.2014 (Muscat, Oman)"
1 Titre de la diapositive SDMO Industries – Training Département MICS KERYS 09- MICS KERYS – WEBSITE.